Daniel Kumin of Sound & Vision reviewed the Anthem MRX 700 receiver and gave it the Sound+Vision Certified and Recommended 2011 stamp of approval! "Given my long history of reviewing A/V gear from up north, I'd expect any Canadian design to feature a no-nonsense feature set, sensible ergonomics, ruggedly attractive industrial design, and brick-lavatory construction, and the MRX 700 satisfies on every score." 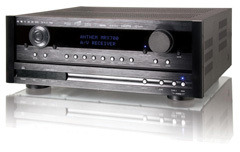 "Despite its compact size and simple appearance, the Anthem receiver delivered impressive real-world power... The MRX 700 may be rated for a relatively modest 120 watts per channel... but its power-amp abilities seemed to me equal, or very nearly, to those of my everyday 150 x 5-channel power amplifier. 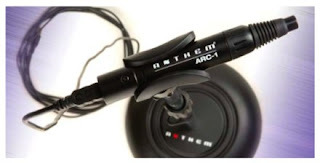 And critical listening was just as satisfying... As for movies, the Anthem held its own with the best A/V receivers I've auditioned on the latest lossless hi-rez soundtracks"
"It's clear that Anthem took considerable pains to keep this A/V receiver simple. On the whole, they succeeded admirably. Anthem's onscreen menus and displays are beautifully plain and lucid. The supplied backlit remote is a paragon of simplicity and readability, and its control layout and operation hierarchies are just as thoughtful." "I loved almost everything about the Anthem's maiden AVR effort: its audio, its video, its outstanding usability." Click here! or Pick up the Sound+Vision April-May 2011 issue from the newsstand to read the full review.